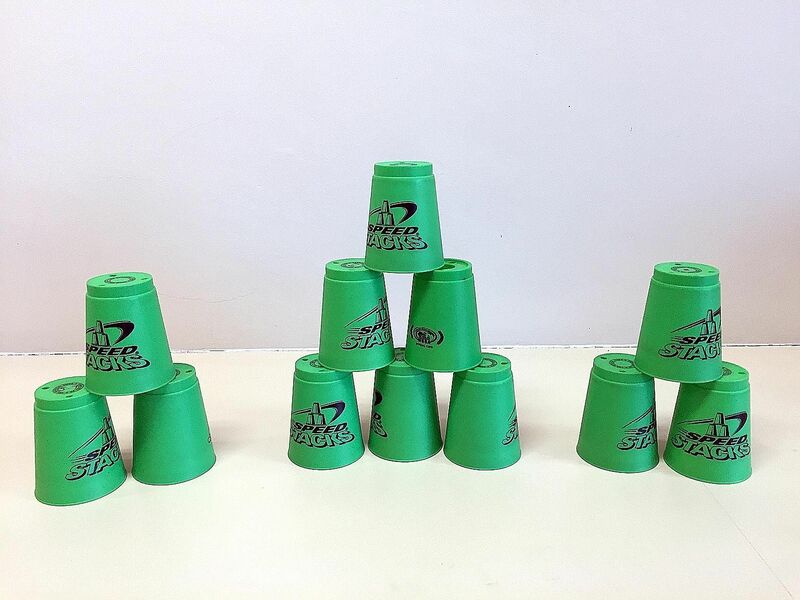 Sport stacking, also known as cup stacking or speed stacking, is an individual and team game that involves stacking and unstacking plastic cups in sequences as fast as possible. Sequences are usually in the form of pyramids, and players compete against the clock or another player or team. 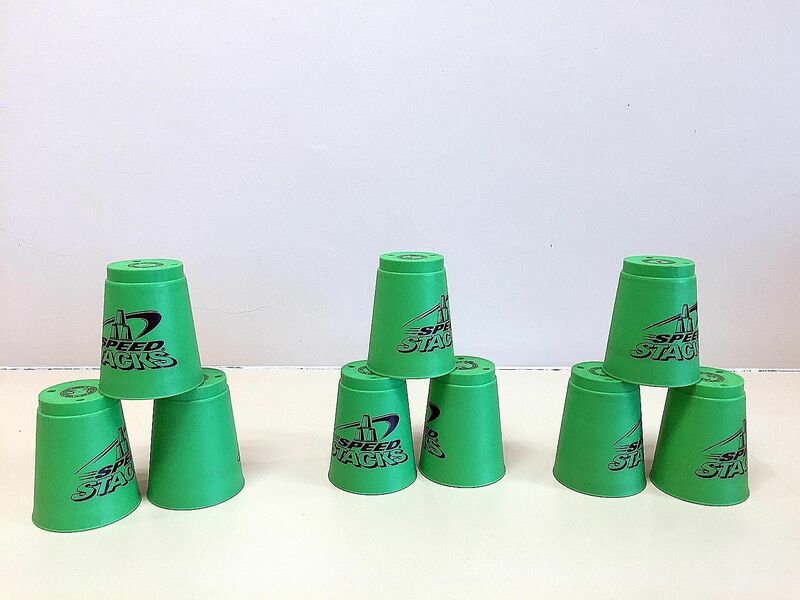 Upstack: The cups are stacked "up" into pyramids. Downstack: The cups are put "down" into columns. Fumble: One or more cups fall. Both hands must be on the touch pads on the timer mat before stacking. The timer starts once one or both hands are removed. The timer stops when both hands are back on the touch pads. During a fumble, the stacker should restack the fallen cups before continuing with the next stack. 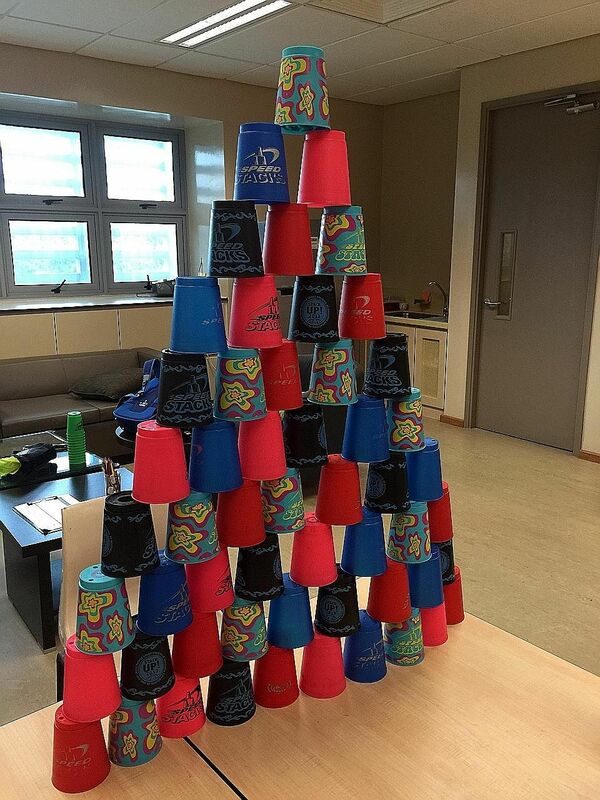 3-3-3: The cups are upstacked and downstacked into three pyramids of three cups each. 3-6-3: The cups are upstacked and downstacked into two pyramids of three cups each, and one pyramid of six cups in the middle. Cycle: The cups are upstacked and downstacked into the 3-6-3 formation, then two pyramids of six cups, followed by one pyramid of 10 cups, with one cup on each side of it. 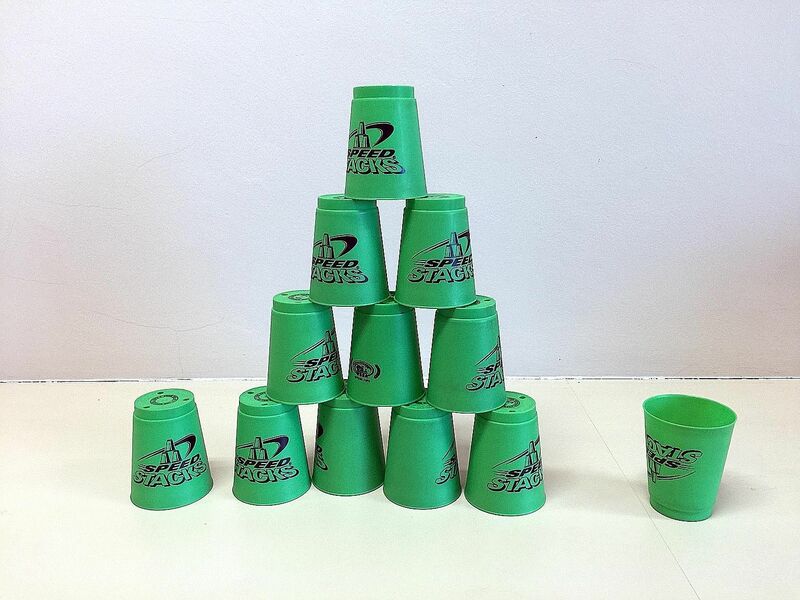 Multi-colour pyramid: Stackers need to ensure that no two adjacent cups are of the same colour when stacking. 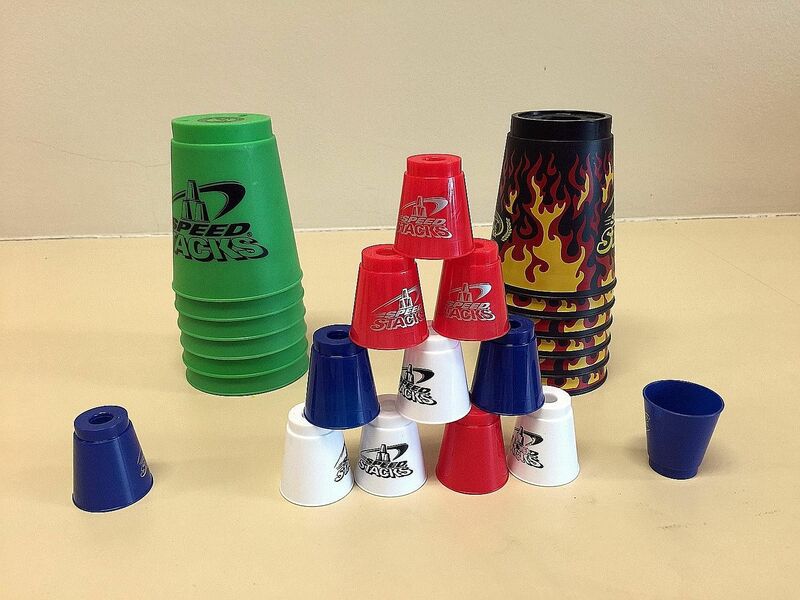 Mini Cup Stacking: Typically with the same sequence as competitive stacking, but using mini cups, which requires a higher level of fine motor skill.